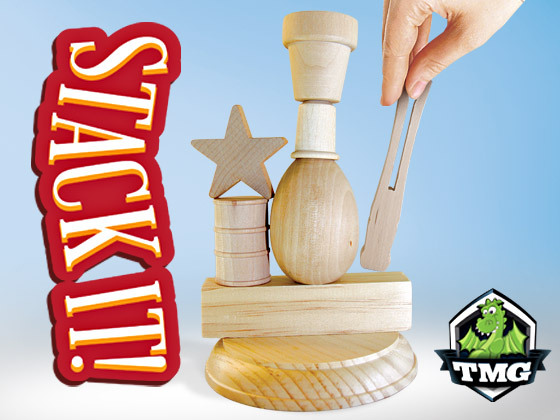 Stack It!, Tasty Minstrel Games’ newest game, is now active on Kickstarter. From the Kickstarter page – “Stack It! is a stacking dexterity game easily playable by up to 6 players in around 15 minutes. Players will take turns playing on of the 25 unique wooden pieces, making sure that each piece played touches the piece that was played before it. It sounds fun and you should check out the Kickstarter here.